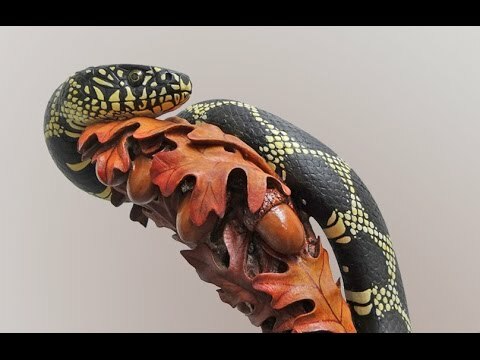 Carved White Oak leaves provide a colorful bed for this Carved Eastern King Snake on this walking stick which was carved entirely from one piece of Lodgepole Pine. The scenes in this video were all filmed by me and my family. They are not necessarily in chronological order and are from various locations in our area. that I use on Amazon.com. By using these links when you make Amazon purchases, no matter what you buy, you can help support my channel at no extra cost.